This month we had a couple of Google announcements to share, spent some time on sharing social media best practices and an automation tool to help you get things done! Slideshare page on LinkedIn with notes. The second is a video recording of the webinar that is also in our Youtube channel. Created a PowerPoint and shared during a webinar using AnyMeeting (very affrodable). Recorded the session in AnyMeeting. Share the link using Mailchimp to my email list for those that did not make it. Downloaded the recording as MPEG 4 file and uploaded into Youtube. Loaded the PowerPoint into Slideshare, which is part of our LinkedIn account. Shared the Slideshare withing LinkedIn. Posted both into this blog post which I will share out to other social network sites, such as Google+, Facebook pages, Twitter, and LinkedIn again. Have I forgotten anything? Hope not. The point is, my goal is to have many people see the Geek Meets and how helpful they can be. Once they like the Geek Meets, they might like other things we offer. It is all a part of our marketing strategy. Can you create a Power Point about something your target audience would be interested in? Sure you can. You can record it without an audience and still start sharing it out there. 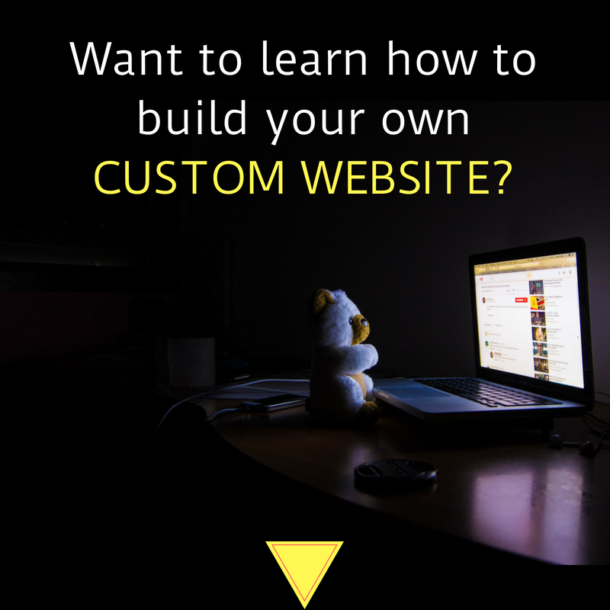 After three days you will have a custom built website, not one of those so called "easy" sites. Fabulous! You will receive a personal email from the instructor requesting a time to talk by phone to see if this is really a good fit for you! Great Webinar. Just now viewed the Jan 2016 geek meet video. Very insightful and helpful. 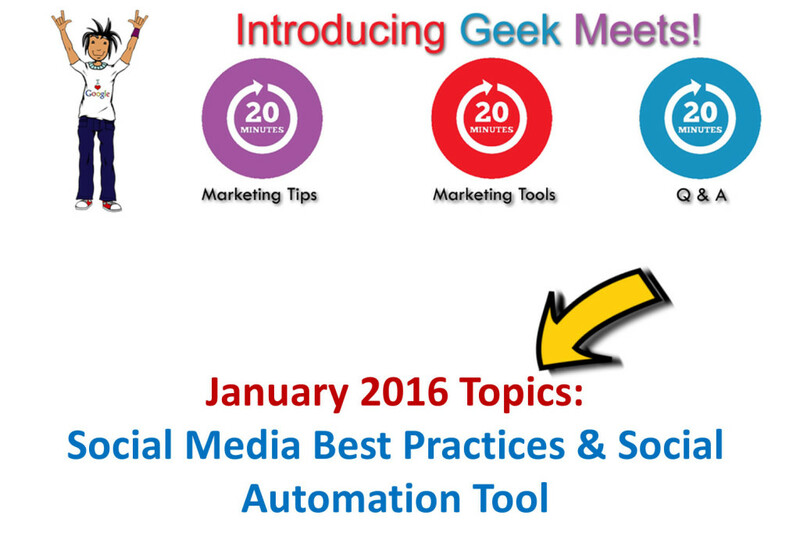 I have would like to participate in the Geek Meet webinar on Feb 26th. See you there Ginnie. Glad you found it helpful. That is the goal! It is difficult to learn Inbound Marketing in one sitting and just as difficult to keep up with the changes. 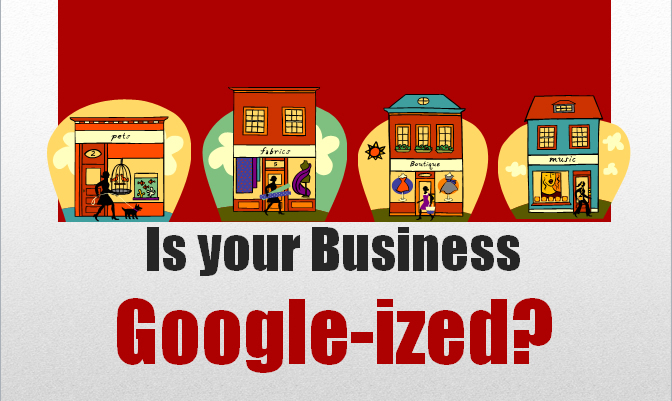 That is the goal of the Geek Meets – to keep you refreshed on all things related to Inbound Marketing and Google.